We all know frisbee is fun. But what about the things that are not as fun? Planning a tournament, calculating a budget, submitting rosters, emailing updates, and attending meetings. Blah! Yet there IS something fun about all the effort that makes a good team greater, something fun about doing things that are challenging and new. This type of fun is called good old-fashioned hard work. Don’t be scared by the w-word though, because there is more to it than meets the eye. Take it from Thomas Edison, a man who failed over 1000 times before making the light bulb possible. “Opportunity is missed by most people because it is dressed in overalls and looks like work.” If you have only ever thought of work as a negative thing because it seemed too hard, boring, or have a risk of failure, consider all the positive aspects it has to offer you: experience, foresight, and a chance of success. When mastering any skill, you must learn it well and practice it over and over again. From the learning comes a better foundation and progression plan. From the practice comes a better outcome and a sense of achievement. Mastering a skill can be hard, but it is something we all try to do because we consider the long-term benefits to our performance. This same mindset must be applied to work and team management, and we all have the strength to do it. This third team aspect of team management must be brought into balance with culture and athletics if a team truly wishes to reach the highest levels of success. While some teams will prefer to keep things simple as a club sport or group of friends, there are still challenges that surface in culture and athletics without proper management. From proven cases, this article has been crafted to help you reconsider the degree in which you work on your team’s finances, planning, presentation, and higher pursuits. It is impossible to do something without knowing what it is you must do. Yet not knowing about a roster submission deadline is not a good enough excuse anymore to get an extension. 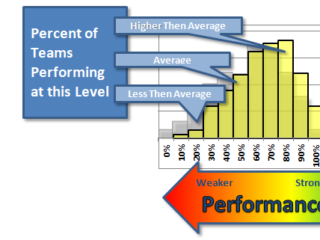 If your team really wants to compete, you must understand the factors and processes that allow you to do so. The biggest things to focus on and manage when entering competition are time and money. Not only must you be aware of roster deadlines and the amount of time it takes to submit one, you must be sensible about the time window to submit a bid to any tournament. Asking your players what their plans are a week before every weekend is not going to get you into many tournaments. You must commit ahead of time 1-2 months in advance, inform your players, pay by the deadline, and keep your fingers crossed. Tournament directors are much more clear these days about deadlines, schedules, and refund policies. Honor the hard work they have put in for you and be timely with your communication and attendance. 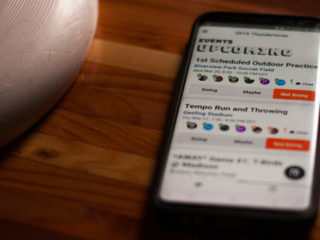 Keeping an annual timeline can keep your season tasks of tournament registration and trip planning down to a timed science. A small budget is what holds most teams back from competing to the degree they would enjoy. Keeping it lean and looking ahead can be the first step in communicating the cost to play. 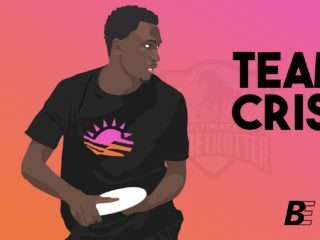 Although ultimate is one of the most fun-per-dollar sports out there, it can still come with a big price tag to a college student who is on their own. Even if you have had just one player complain about team dues, its time to do something different. Paying out of pocket will always result in a dead end. Some coaches might believe team dues are necessary to keep players invested, but far and few have experienced what a fully funded team feels like. Full funding goes beyond fundraising events and donation letters; it happens when you target the school and take one step at a time toward the recognition you deserve. It’s time to create the ultimate ultimate team. Break the mold and crush it into dust. Let’s face it. You have met at least one person who gave you a funny look when you told them “We want to start an ultimate frisbee team!” Every student government, activities council, and athletics department is going to have those comedians, skeptics or haters. 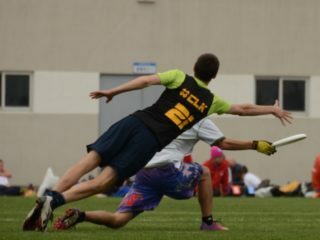 While it may be impossible to instantly change their perception of ultimate, there is a carefully crafted approach to redefine how they see ultimate. Believe it or not, the way to a staff or faculty member’s heart is not an amazing win-loss ratio. You must show them you mean business. They have one of two stereotypes in their head: frisbee hippies or sport rejects. While internally there might some of those, externally you must show them a completely different identity. Your new approach must include professionalism, communication, respect, presentation, engagement, and enthusiasm. They cannot invest in students they do not trust; you have to learn how to play their game and impress them beyond their own expectations. One of the most straightforward approaches is your team’s branding and campus involvement. If your team name has a crude reference or you have beer bottles in your logo, you can expect to pay out of pocket for everything. A respectable and energetic sports theme, name, logo and digital presence speak a language that sports management is familiar with. In addition, going above and beyond interacting with your campus and community will speak toward your student government and activities staff. Collaborating with other clubs for charity events, hosting Ultimate 101 seminars, and volunteering for high school tours are all out-of-the-box ideas that demonstrate your team cares about the school, just as you hope the school will soon care about you. Understand trade-offs, recognize corruption, and seek mentors. With any luck, after 1-3 years of strategic planning and hard work your team can start to see an increase of budget and recognition from your school, still building toward the full funding and varsity status that IS achievable. Yet, when receiving this additional support, there are trade-offs for the teams who may depend on their freedom from which to build their team culture. While animalistic behavior of a team is questionable to begin with, it does go out the door completely when a team starts to become compliant with policies as they represent the school on and off campus. Yet extremely loyalty to your school does not justify turning a blind eye to injustice or corruption within. If you have student governments that appoint their own fraternity brothers, student activities staff that won’t create a club sport category, or an athletic director who is also the head coach of the football team, you have a right to be upset about the conflicts of interest and lack of innovation. In breaking down any wall you come across, you must find and work with other organizations and staff that can identify the problem as well. Due to the sensitive nature of most political and business situations within a school, it is important to get everyone together to work on the plan of action. Petitions, proposals, and presentations are never out of range for a student organization to use and help change their campus for the better. If you think these ideas can only work in fairy tales, then start writing your story today. There have been many accounts of teams doing the impossible to create their well-respected legacy or full funded programs. As an ultimate community, we are not forbidden from asking about their secrets to help our new programs grow on the same path. Reach out to the teams you see doing it right. Character building and relation-based culture. Honorable athletics and a spirited drive. Excellent time & organization and brand management. 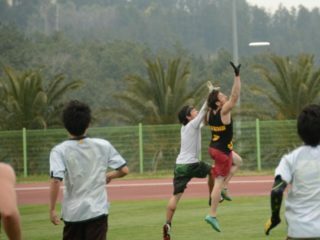 These are the qualities of groundbreaking teams that will lead ultimate into a bold and meaningful future. Hard work can go a long way for your program, and even provide individual rewards in skill building and leadership qualities. Teams take time and money to become functional, giving the team more chances to play in competition. When working with your school, demonstrate the amazing opportunity your team offers to students, how fast the sport is growing and attracting high schoolers, and how the program can make your school look cutting-edge. When pursuing full funding and recognition, be aware of the business and politics and seek expert mentors or respectable teams to give you insight on your best approach. With benefits that are more than worth it, focused team management is something to consider for the future of your program. The content of the Team Organics article series has largely come from the materials and philosophy of Team Tree, a program that offers free startup guides, mentorship, and team sponsorships. If you enjoyed the content of these articles and are looking for more information to apply to your current team situation, check out the program and leave us a comment or email. If you have another 5 minutes to spare, we would love to hear your thoughts about our first article series in this survey! Thank you for reading and we hope this series has helped you in your team development approach.